The Turkey Vulture is one of three species of birds of prey in the family Cathartidae. It has the largest area of ​​distribution of New World vultures: it is present in Canada, South America, in a wide variety of open and semi-open habitats including subtropical forests, brushy fields, meadows and deserts. The Turkey Vulture has an average size of 1.80, its weight is 1.4 kg. The body feathers are black or brown and the underside of feathers seems silvery gray, contrasting with the darker edge of the wings. The adult’s head is small in proportion to its body, its skin is naked and wrinkled and ranges in color from pink to bright red. The adult has a short beak, hooked and ivory. The legs are pinkish, going on yellow and stained white. In flight, the tail is long and narrow, unlike the Black Vulture and the rounded end. The Turkey Vulture makes a molt late winter or early spring. This is a gradual shedding which lasts until early fall, it is awkward to the ground and moves by hopping. The sexes are identical in plumage coloration, although females are slightly larger average, as in many other raptors. With its long broad wings, it planes rarely not flapping its wings. It feeds on carrion. 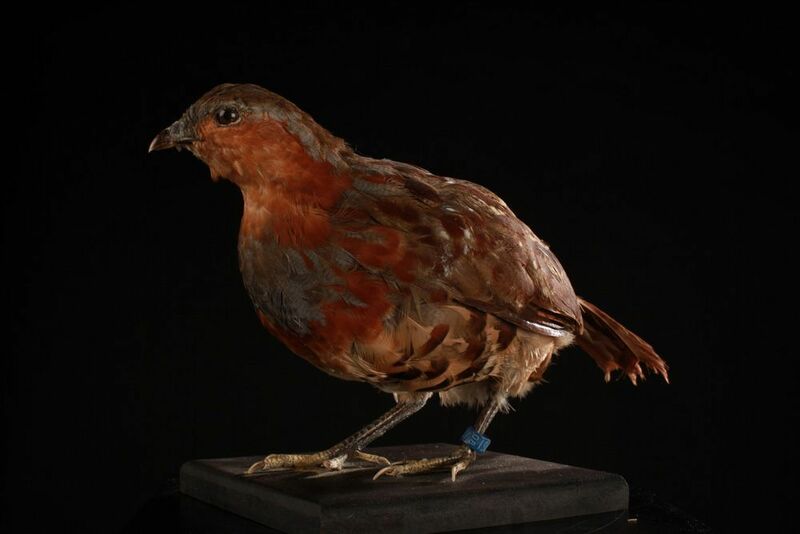 Its sense of smell is developed and it finds its food by flying low over the trees, detecting the gases produced by the decomposition of individuals carcasses. The adults gather by hundreds for the night. It feeds mainly on carrion, it still prefers animal carcasses and rarely kills its prey. It is often seen near bodies of water, consuming fish, insects. It consumes more rarely some plants. It also dumps where it is abundant and rich food. 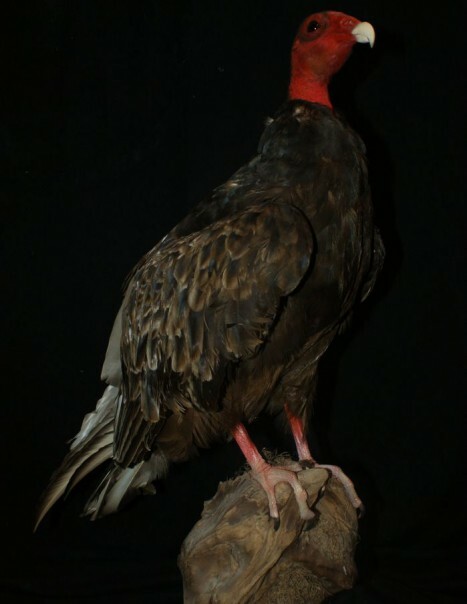 The Turkey Vulture nests in cavities, hollow trees, bushes. The breeding season begins in March, once the female has chosen a partner, the couple then flew by following closely while flapping their wings and making dives. Eggs are laid in a safe place directly on the ground. Females lay two eggs. The chicks hatch after 30 to 40 days. Both adults feed the young by regurgitation for 10 to 11 weeks. The Turkey Vulture can live 21 years in captivity while the wild bird ringed the oldest was 16 years. Like other species of vultures and turkey vultures, it plays an important role in the ecosystem by removing carcasses that could carry diseases. 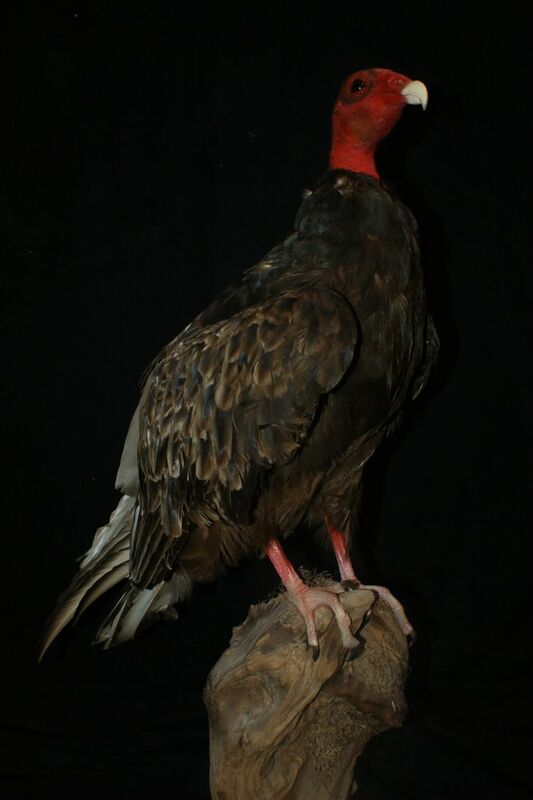 The Turkey Vulture is legally protected by the “Convention Act, the Migratory Birds. Despite the law, Turkey Vultures can be kept in captivity if they are injured or unable to survive in the wild.